Status – in Canada with Hubert (who won it at the 2014 MBI Workshop)! 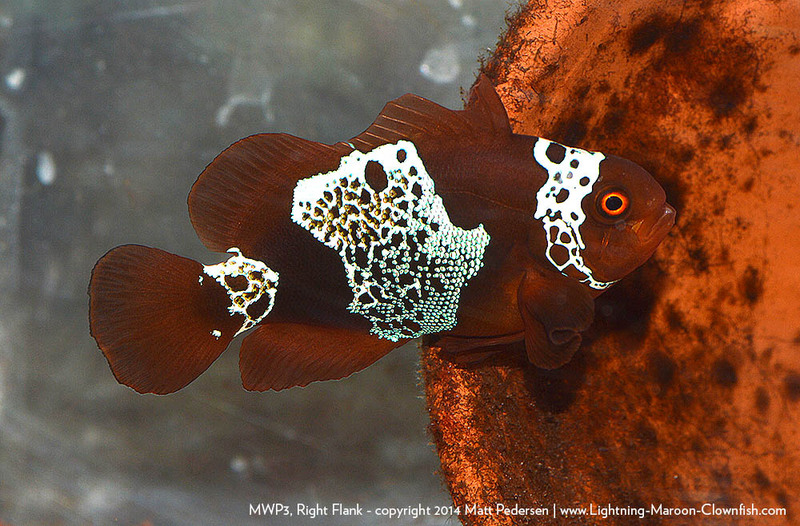 This Lightning Maroon Clownfish was one of the fish that might have been culled, but I held it back. It was the first fish into the Lightning Maroon’s Ecoxotic Cube Tank when I restarted it. I may hold it back for pairing with a White Stripe Maroon from a future batch, or I may wind up parting with it. As of 6/6/2014, this fish was 2.5 inches in total length. 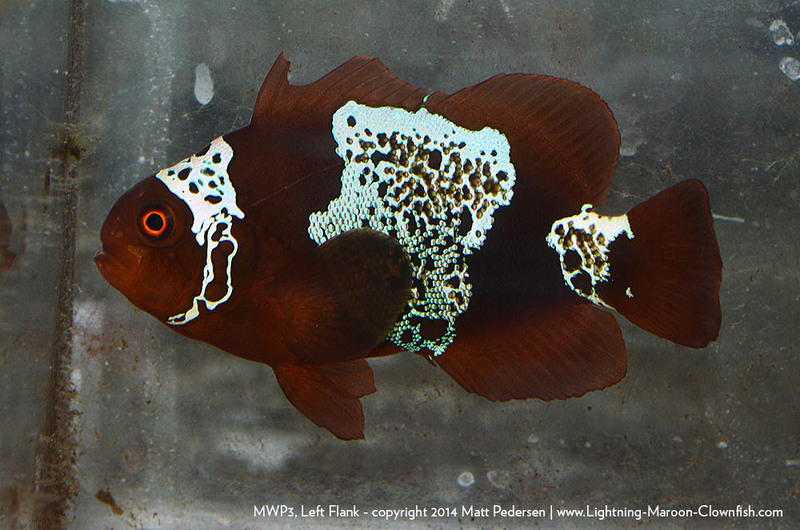 This fish was paired with a F1 Morse Code Maroon Clownfish from Sea & Reef Aquaculture and donated to the MBI Workshop 2014 Raffle, which was won by the duo from Canada (Hubert and Carol) and is the first Lightning Maroon in Canada. Written by glenn about 5 years ago. Written by Matt Pedersen about 5 years ago.